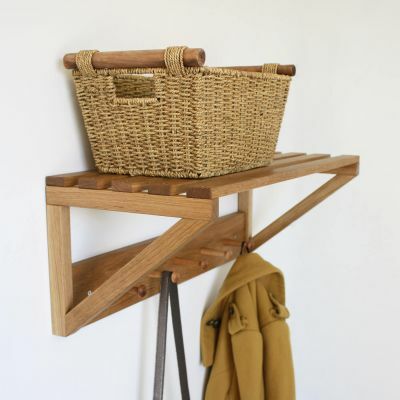 Keep your wellington boots tidy and dry with our wall mounted oak boot rack. Robust enough to be placed inside or out, the length of the pegs and the distance between them has been carefully considered to ensure every size of welly fits perfectly. Even those for really tiny feet! 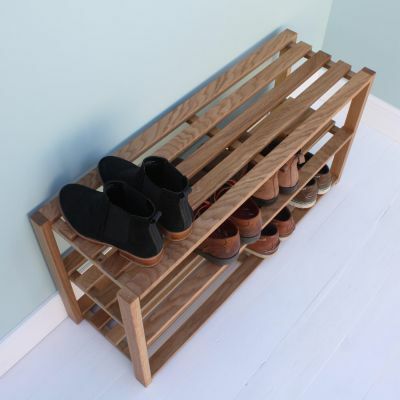 No two families are same and that’s why we offer our welly rack in so many different sizes, ranging from two pairs to six. 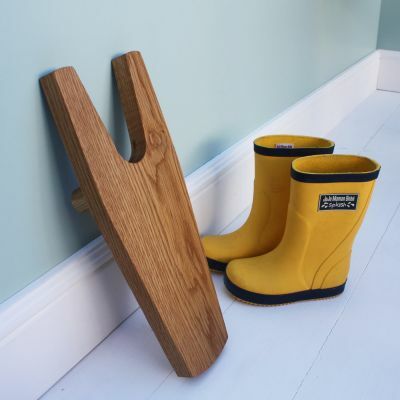 Add our oak boot jack to your order for only £27 saving £8.